Fox-1D is a radio amateur and technology research cubesat developed by AMSAT and hosting several university developed payloads. Fox-1D is an 1U CubeSat designed to operate in Low Earth Orbit based on the design of Fox 1A. It carries a 2 meter whip antenna and a 70 cm whip antenna. 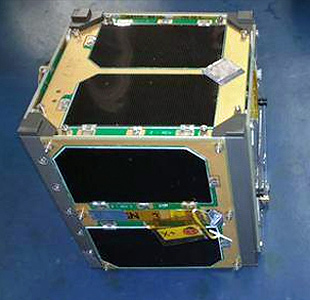 As affordable launch opportunities for amateur communications satellites become more rare, AMSAT deviced a new strategy: a small cubesat, which hosts both an amateur communications payload as well as a scientific or technological payload, so that the satellite qualifies for launches in sponsored programs like NASA's Educational Launch of Nanosatellites (ELaNa) Program. Fox-1D carries a high energy radiation instrument HERCI (High Energy Radiation CubeSat Instrument) developed by the University of Iowa Department of Physics and Astronomy, a Virginia Tech camera experiment, and a Pennsylvania State-Erie MEMS gyro experiment. Fox-1D also serves as a communications relay for amateurs worldwide via the onboard FM repeater system. The communications and experiment missions will run concurrently. The repeater features a VHF downlink with FM analog voice and FSK data and UHF and L-band uplink.